The fall race season has almost arrived and with an abundance of events now taking place from coast to coast, what better time to confirm your commitment to training than by signing up for a race and toeing the start line of a race. Whether to gauge your current fitness, to see how far you’ve progressed or to try for a new personal best (PB), a race should be viewed as an opportunity to test yourself in a unique and ideal setting. Inevitably, you will learn something from the experience that will inform and guide further training and better racing. 1. Use a race at the start of a new training season to see where you’re at and set some benchmarks for training. 2. As your training progresses, run a few tune-up races–try one every four weeks or so–throughout the season to see how you’re progressing and help determine your future time goals. 3. 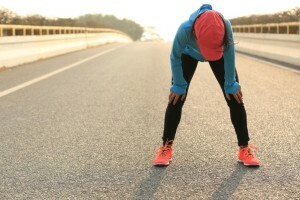 Use a race to practice pre-race tapering, preparation and routines on the morning and days leading up to a race to help arrive rested, relaxed and ready to run well on race day. 4. Use a race as an opportunity to try out new gear or apparel to help anticipate and eliminate potential problems when it really matters. Also, use the race to practice executing a new or existing fueling and hydration plan. 5. Once the race is over, use it to establish better post-race recovery routines such as a good cool-down, stretching, proper nutrition and hydration. You could also use it as an excuse to schedule a massage or reward yourself with new shoes or apparel. 6. Pace a friend or running partner to help them achieve their goals. 8. Every once in awhile, do a race as a fun run with no expectations other than to enjoy it. 9. Fundraise as part of a charity challenge or run on a team to raise funds and awareness for a great cause. 10. If you’re feeling fit, healthy and your training has gone well, put it all on the line, aim high and try to run a new personal best time.